Moscow is not just a great city, not just a great capital, not just the symbol of a gigantic Empire. Moscow is a basic concept of theology and geopolitics. Moscow has been called the “Third Rome” not merely as a metaphor or self-indulgent manifestation of purely national pride. Everything goes much, much deeper. Orthodoxy knows the special teaching of the “three Romes.” The first was imperial Rome before Christ, the same state on whose territory the Son of God set foot on earth. This Rome was a universal reality that united enormous spaces and manifold peoples and cultures in civilizational unity. The coming of Christ is a central event in world history. Everything that preceded it was a presage. What followed it was the universalization of the Gospel. And, in the Orthodox conception of the world, the center of history in the Christian era was Rome, the New Rome, Constantinople and its ruler, the Orthodox Basileus. In other words, after Constantine, the New Rome (Second Rome) was the true subject of history, a lever for the mysterious house-building of Salvation and the Deification of the ecumene. The heretical West, with its Germanic usurper kings and laified Catholic clergy at its head, fell away from Rome, which means that it became apostate. The Vatican was the anti-Rome, it rejected the Orthodox meaning of the “katechon” Basileus and illegally asserted the totality of papal power. After the schism that split the Churches into Western (Catholic) and Eastern (Orthodox) hemispheres, the New Rome, Byzantium, remained the one guardian of true Christianity while the Catholics fell into the void of apostasy. “Katechon” was taken from them. But the Second Rome, too, was fated to fall. When its faith wavered and it tried to turn to the West for military aid against the Turks, it accepted even the price of a rejection of Orthodox truth and the acceptance of the Union of Florence. But this did not save it; on the contrary, it might have been the final blow. And then, it seems, there was no longer a place for “katechon”, the “withholder”, and the doors for the coming of the “son of perdition” were open. But in a northern kingdom, in snowy and wild lands populated by a strange, pensive, contemplative people immersed in the fury of their secret mission, everything remained the same, as if that terrible event (“the removal of the withholder”) had not taken place. Just as heaven was spared the decadence of the Fall of Man that had touched all other earthly locales, so did Rus become the one country where the teachings and norms of true Christianity remained extant. Thus, the eternal city moved to the North, to Moscow. Henceforth, Moscow took upon itself the baton of being the subject of history. Later, a Patriarchy was established in Rus, and the “symphony of powers” was fully affirmed. Moscow became a synonym for Orthodoxy in the post-Byzantine era. It became the last refuge of Salvation, the ark of truth, the New Israel. Moscow is the seal of the God-bearing mission of the Russian people. The last became first, which means that Moscow was the most divinely chosen point on earth. And as it is that our Savior chose precisely our human earth as the place of his Incarnation, this place must be central in the entire Universe. Moscow is truth, life, the way, the good. Moscow is the absolute. The shadow of the antichrist also tried to break this last fortress of the Gospel. Two hundred years of Petersburg, Romanov Russia was the period of the “abomination of desolation.” There was no Patriarch, no true symphonic monarchy, Moscow was not the capital. Everything converges. And only in 1917 did strange, offbeat, possessed persons (the Bolsheviks) put everything in order in a truly paradoxical manner, as if completing an odd soteriological riddle. In this period, despite open anti-ecclesiastical persecution, the Russian Patriarchy was re-established, the traitor dynasty was abolished, and, what is most important, Moscow was the capital again, the Third Rome again. At the same time, the “Derzhavnaya” icon was miraculously found in the residence of the Muscovite (!) tsars. It depicts the Queen of Heaven on a throne, as Tsarina of Russia, as autocrat of the Third Rome, of the sacred city of Moscow, of which there was, is, and will be none more beautiful and more tragic in the Universe. Being the center of Christian theological doctrine, being linked with the mystery of humanity’s fate and the mystery of Salvation, Moscow is also the axis of a more mundane, purely geopolitical reality. If at the heart of the Christian vision of history lies the battle between the Christian faithful and the Church of Christ against the world of apostasy and the reality of the antichrist or the “son of perdition”, then in geopolitics the main drama culminates in the conflict between two camps: these are Land and Sea, tellurocracy and thalassocracy . The world of Sea, beginning with Carthage and ending with the modern US, embodies the pole of the merchant regime, the “market civilization.” This is the path of the West, the path of technological development, of individualism and liberalism. It is dominated by dynamism and mobility, which bodes well for modernization and progress in the material sphere. The civilization of Sea has over the past few centuries acquired the name of “Atlanticism”, seeing as how bit by bit its main stronghold has moved in the direction of the Atlantic Ocean, up to and including the ascension of the US. The modern North-Atlantic Alliance is a strategic expression of this civilizational model. It is opposed by the world of Land, the world of Tradition. This is the “heroic civilization”, the reality of loyalty to ancient ways. Here, progress is not so much material as it is spiritual; the moral dominates the physical, honour dominates benefit. From Ancient Rome through Byzantium, the geopolitical history of Land inches towards the Eastern Bloc, which opposed the west during the “Cold War.” At the center of this Eurasian space is Russia, which the greatest British theoretician of geopolitics and one of the founding fathers of the discipline, termed Heartland. And once again, the centre of Russia is Moscow, as an encapsulation of all terrestrial spaces, as a synonym of the civilization of Land. Moscow is the capital of the civilization of Land. Located in the depth of the continent, far away from ports and seas, it is a continental capital, uniting within itself the spatial masses of the Eurasian East and the technological dynamism of the European West. It is towards here that the Atlanticists have rushed from the West, under different flags and in different times: from the Poles and Napoleon to Hitler. And every time the Western occupiers were thrown back by continental might to the shores of the Atlantic Ocean. Different historical schools define the source of Russian statehood in different ways. The majority are prone to the idea that the central period of our state history is the Tsardom of Muscovy or the so-called “Moscow period”, which lasted from the 15th to the 18th century, i.e. from the casting off of the Tatar Yoke until Peter the Great. It is precisely in this time that the fundamental traits of the Great Russian people and its governmental and social institutions formed. The great Russian scholar Lev Gumilev showed this process in a more detailed and in-depth way; he (as well as the Russian Eurasianists) emphasized the radical uniqueness of Muscovite Rus in the ethical, ethnic and socio-cultural spheres compared to the other Slavic states as well as Kievan Rus, which was a normal Eastern-European state without any special Eurasian geopolitical traits. Truly, Rus, as a unique Eurasian formation that took upon itself the geographical and political mission of Genghis Khan and was called to unite the continental lands (and cultures) of West and East under its control, took shape precisely in the Muscovite period, when the princes of Moscow and later the Tsars recognized their responsibility for the special historical-cultural path that had been entrusted to the Russian people. On the religious level, this manifested itself in the Russian acceptance of the ideology of Byzantinism; in practice, however, this lofty idea was superimposed on the model of the harsh, centralized administrative-economic system of the Tatar empire. Such a fusion made a provincial state into the cradle of a world empire and turned a strange, paradoxical people lost in the snow and forests into an ethnos overshadowed by a universal mission. The Muscovite idea, the concept of the “Third Rome” (by elder Filofei) became the incarnation of the highest aspiration of national will. The pre-Muscovite period was a prelude to the Muscovite period. The Petersburg period, when the Romanovs, beginning with Peter, anathematized the “old order” and “old faith”, turned to the West, refused to carry out the uniquely Eurasian mission, and condemned the people to a veiled, but no less weighty “Romano-German yoke” (to use the expression of prince N. S. Trubetzkoy), still despite all of this carried within itself the tendencies that had been established in Moscow. Although on another level, the ties to the cradle of national statehood were never broken. If Saint-Petersburg was the incarnation of Russian “Westernism”, then Moscow remained the symbol of the Eurasian, traditional beginning, manifesting the heroic, sacred past and loyalty to roots, to the pure source of state history. Everything “modernist” in Russia is linked to Saint-Petersburg. Everything traditional is linked to Moscow. The three historical capitals of Russia at once symbolize the three geopolitical orientations and three types of statehood. Kiev represents the ethnic, East-Slavic line of thinking pushed to the limit. It demonstrated a tendency towards becoming a cultural-political province of Europe. By virtue of being orthodox, Kiev Rus was part of the Orthodox world, but was not and could not have been a powerful, independent, Orthodox state with a special national idea and with a specific social order. Moscow is the Eurasian capital, the symbol of Russians becoming themselves and their acquisition of the meaning of their historical existence and a special, unique style in conjunction with the makings of a universal missing in the cultural, political, religious, and socio-ethical senses. Moscow is independence and completeness, the acquisition of ourselves. Saint Petersburg is the secular, post-Muscovite capital that is linked to the desacralization of Russian existence and the denial of Russia’s historic spiritual mission, of the unique and simultaneously universal Russian way. It is a line of thought that has been alienated from its own roots and spiritual-historical traditions. It is clear that synodal, “Petersburg” Orthodoxy has little in common with true Byzantinism on the principles of which the Russian Church was built in the Muscovite period with the Orthodox Tsar and Orthodox Patriarch at its head. In 18th century Saint Petersburg, entry into the city was barred to those wearing simple Russian clothing. What kind of “narodnost”  can be spoken of here? The transfer of the Bolshevik capital to Moscow is extremely telling. From a geopolitical, historical and, in some sense, spiritual standpoint, this was a move that was oriented towards a return to a Eurasian orientation. It is hard to say whether the communist leaders realized what the results of this move were. In logical terms, however, it was entirely justified. Under the Soviet regime, Russia once again opposed itself to the West (although now purely on the basis of ideological grounds), opened itself to Asia again, and once more set out on the path of cultural, social, and economic autarky. We can argue as long as we want about the “all too heavy price” that was paid, but alas, everything in history is done with a great deal of blood. However this may have happened, it was under the Bolsheviks that the Eurasian camp attained its maximal spatial dimension, and the USSR remains the most impressive example of a massive continental empire. Different continental territories, Eurasian ethnoi, and cultures were integrated into a single bloc. The Soviet period was an attempt to find a new, relevant, modern, but still very same recognizable messianic idea of the Third Rome. Red Moscow became the capital of the Third Internationale. The Third Kingdom is the Empire of the Holy Spirit. This theory goes back to the Christian mystic Joachim of Fiore and, even further, to the ancient Charismatic preacher Montanus who was, incidentally, the first to begin building the New Jerusalem, an earthly prototype of the Heavenly City, long before the anabaptists and patriarch Nikon. Albeit in a heretical and extreme form, the Bolsheviks too clearly felt the secret breath of Eurasian thought and the Muscovite Idea in its universal meaning. The people and Church were replaced by the “proletariat”, “Satan” by capital, and the “civilization of the Sea” by international imperialism and colonialism. Language changes, terms change, ideologies change… But the essence remains the same: Moscow, the capital of Land, of Spirit, of Labour, against the oceanic strategies of the material and mercantile technologies. The price that was paid for this ideal was too large. But this does not discredit the ideal itself, only the ways by which it was realized. Those who honestly and in a self-sacrificing way strove towards a miracle are not guilty of that miracle not materializing; rather, it is those who turned out to be too earthly and common for a great dream who are truly at fault. The history of Moscow is the history of an idea. This idea is not just part of the past; it also reaches into the future. Today, we are undoubtedly living through a deep crisis of statehood and the national idea, and cannot find the correct proportions for our understanding of the past. This is what our bewilderment in the present stems from. Our society is spasmodically trying to acquire some kind of good reference point, a consistent, broad, capacious concept of our national path. There is a certain social group which (like the American political scientist Fukuyama) thinks that “history has ended”, that nations, states, religions, and cultures are doomed to die out in a unified world with a planetary market. These are the extreme Russian liberals, who consider their main task to be writing down a financial period into national history, to making Russia a “tabula rasa”, and transforming her into a quantitative segment indistinguishable from its neighbors in the global community. However, it is entirely clear that such an extremist approach can hardly suit all of us. It is unlikely that we will quietly accept a future of historical disappearance and mute dissolution in an anonymous world. It is unlikely that we will so easily surrender our religious, geopolitical, social, and cultural identity, as the technocrats of the “new world order” would like. Our national alternative has a name, a flag, and a banner: Moscow – in the entire meaning of this most complex concept, in the entire depth and paradoxical nature of this complete and self-sufficient theory. 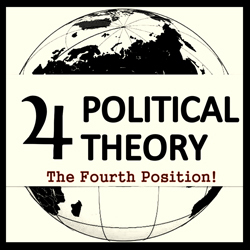 It is on this point, in this focus, that all economic and administrative problems, political interests and philosophical queries, historical theories and modern ideologies, and economic ties and social crises all intertwine. On all levels, in all areas, and at all stages of this most complex subject, we must clearly remember those semantic depths which stand behind every concrete question, behind every decision taken, and behind every approved or rejected draft and decree. 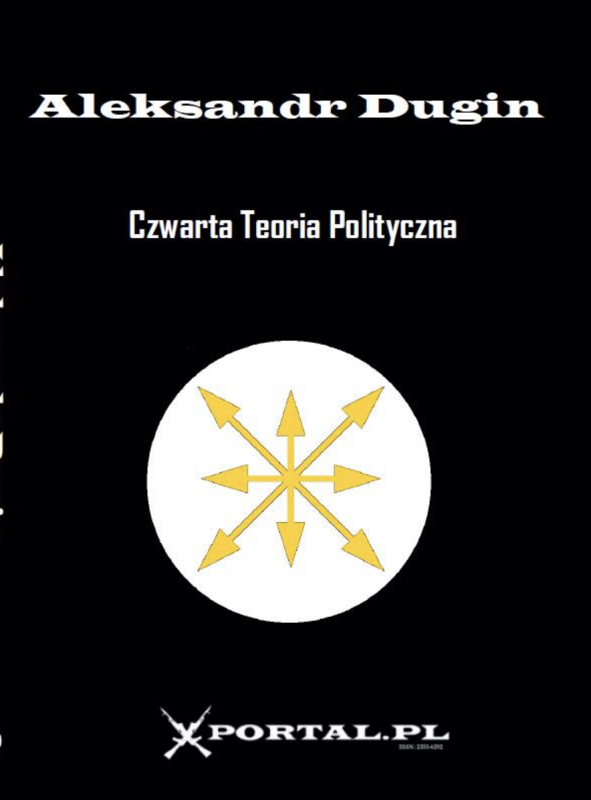 : For more on the subject of thalassocracy and tellurocracy in Russian history, see Alexander Dugin, Last War of the World-Island: The Geopolitics of Contemporary Russia (Arktos, 2015). : “narodnost” (народность, lit. people-ness, folk-ness) is a term that serves both as a synonym for the term “nation”, “ethnos” and a name for part of late-Tsarist official ideology. Under Nicholas the First, narodnost (together with Orthodoxy and autocracy) formed an ideological triad and meant “encouragement and pride of the Russian spirit and Russian people” as well as promoting traditional Russian culture and values. As Dugin rightly notes, however, these efforts were usually lopsided and ended up imposing alien, Western values on the Russian common people. Chapter 1 of Part II of Book 2 of Osnovy geopolitiki [Foundations of Geopolitics] (Moscow: Arktogeya, 2000).